The Cover is clear and awesome for presentation!!! The centerfold is attached fine, the cover is detached, but the front and back cover are attached well together, comic is with tight staples. 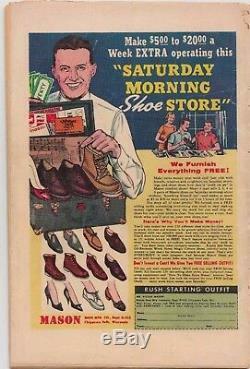 Look at scans, complete, the pages are supple, lies flat. Just like when it got thrown under your bed. Wear consistent with the grade of 2.5 a 3+ if cover was attached. Including;some chipping on the spine, a spine split at the bottom about 1", and at the top also about 1" with a chip out. Overall a nice looking copy. Please look at the scans for condition. 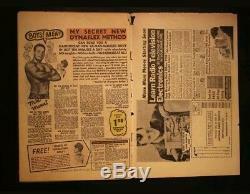 I acquired an SS #39 and put this out for a collector. Serious offers will be considered. An offer of 3500 would be hard to turn down. 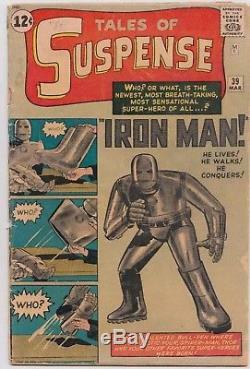 The item "Tales of Suspense #39 1st Appearance Iron Man (Marvel 1963) VG 2.5" is in sale since Tuesday, December 11, 2018. 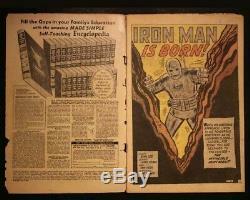 This item is in the category "Collectibles\Comics\Silver Age (1956-69)\Superhero\Iron Man". 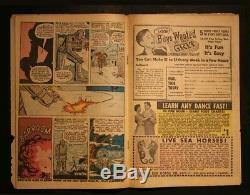 The seller is "flyingvzzz" and is located in Columbia, Missouri. This item can be shipped to United States.